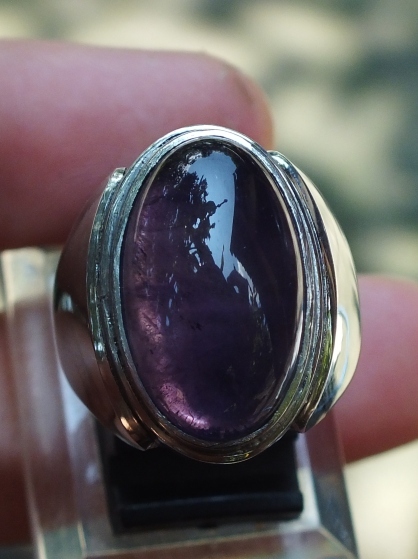 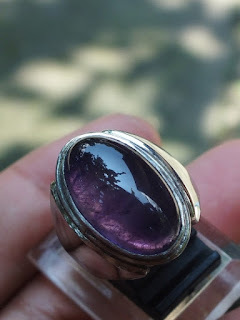 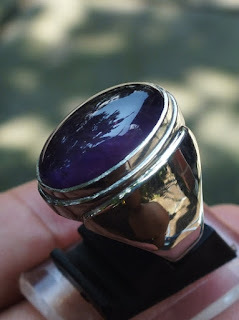 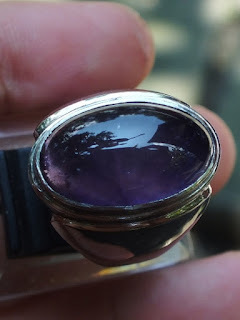 This is an elegant man ring made of stainless steel and natural amethyst. The ring size is 18mm. The size of the amethyst is (est) 19,5mm x 11,8mm x 6mm. 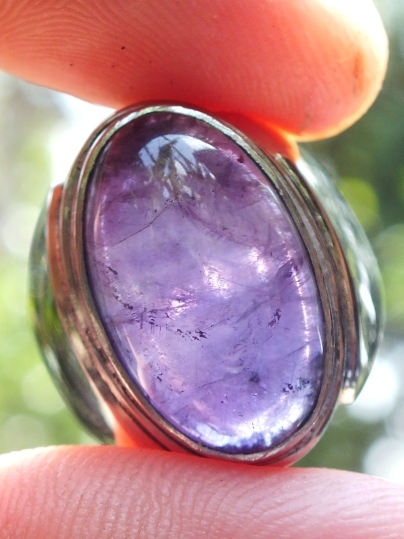 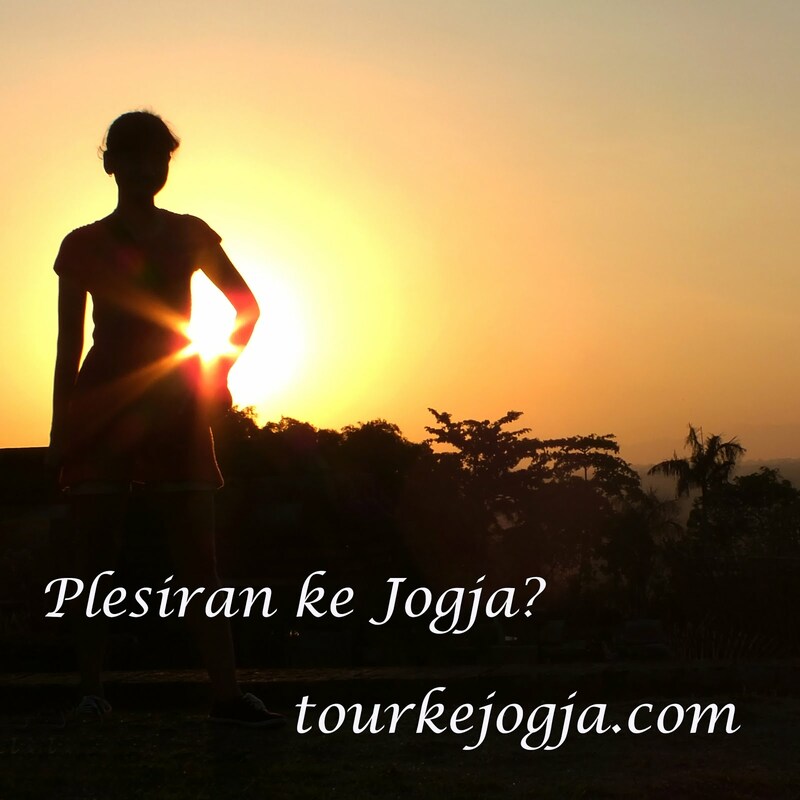 Inclusions can be clearly seen. A very simple but elegant man ring!